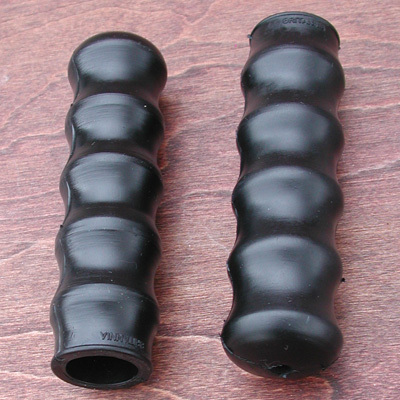 These are Quality Reproduction Coke Bottle Style Bicycle Grips. I Think They are an English Style Grip, but I Have found that with their Cool look and Comfortable feel, they work great on on Early American Prewar and Post War Ballooner Bikes or Your Custom Schwinn Cruiser Bicycle. These Grips are New, Quality Construction, Look, And Comfort at a Good Price. Grips fit on Standard Bicycle 7/8" handlebars.